“When the Dark comes rising, six shall turn it back, Three from the circle, three from the track; Wood, bronze, iron; water, fire, stone; Five will return, and one go alone.” Will Stanton turns 11 and learns from Merriman Lyon, the Lady, and Circle of Old Ones, that he must find six Sign symbols and battle the Black Rider, blizzard and flood. 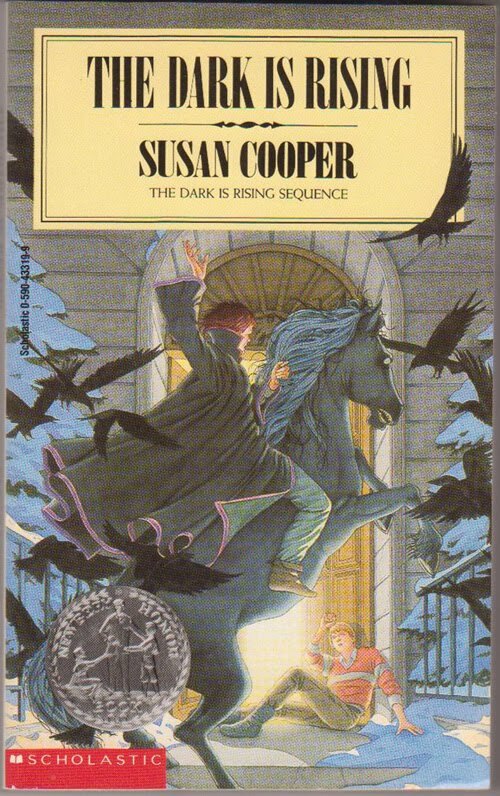 I don’t know why I’ve never read the Dark is Rising sequence. They are classic fantasy and well deserve all the acclaim it’s received over the years. Also, it’s exactly my type of book: fantastic and lovely and mythology-ridden. So I really can’t answer why I have not read them before. I read Over Sea, Under Stone a few months ago, which I adored (like I said before, I’m all about the Arthurian legends). I’m now almost done with the Dark is Rising now and I’m much excited to finish the rest of them. If you’re like me and have never read these books, I highly encourage you to do so now.